Recognised as NZ's finest one day coastal walks! This famous 3-4 hour walk links the East and West coast roads together along a bridle path used for centuries by the Maori and European settlers. Departing Coromandel Town or Whitianga, you'll learn about the abundant history, wildlife and geology from local guides as you travel before starting your walk at Stony Bay. Travelling westwards, the vistas continue to expand throughout the day. The track climbs gradually through native forest with beautiful glimpses of the coastline on the way to the lookout. 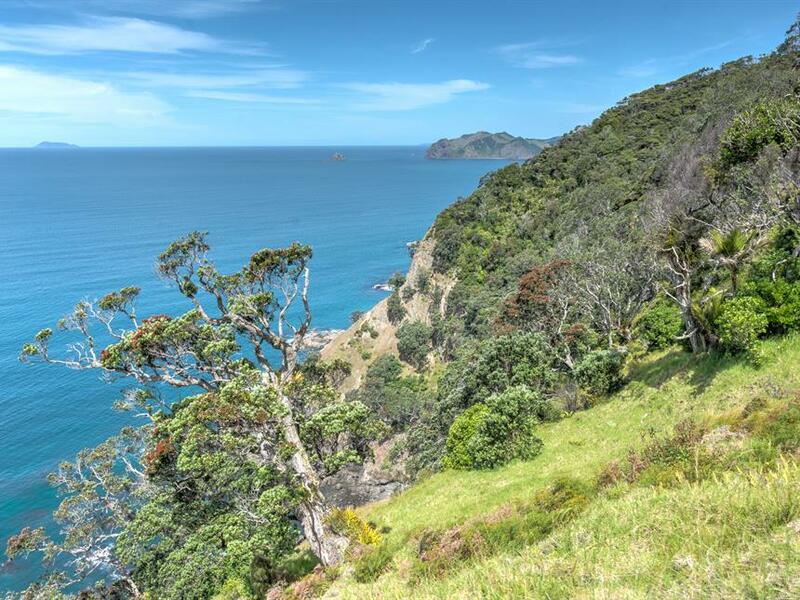 From here the tree canopy opens to the coastal clifftops and spellbinding views to great Barrier Island. The final stage is a picturesque downhill stroll through coastal farmland to Fletcher Bay where everyone enjoys the refreshments at the end of their walk! 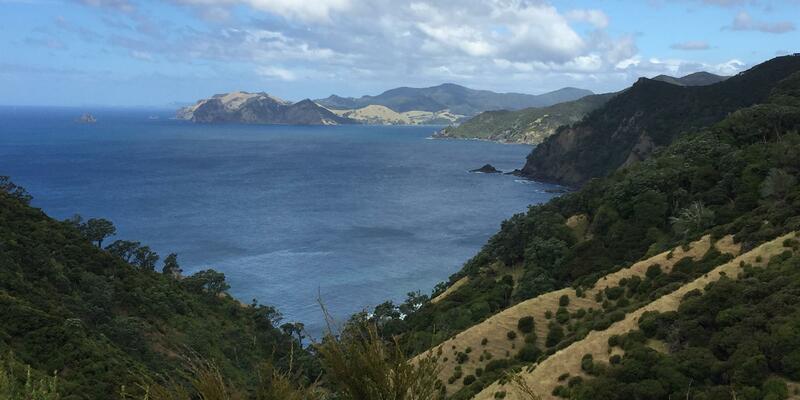 While on your walk, your Coromandel Adventures guide and anyone preferring a full day scenic tour will head around to meet you at Fletcher Bay. Keen walkers can also take the opportunity of completing the Muriwai Track - a picturesque one hour walk along the dramatic coastal clifftops to the sacred Wharekaiatua Pa, and down the beach to the Port Jackson DOC Camp. We head back to Coromandel Town through the magnificent ancient Pohutukawa groves in the beautiful evening light this area is noted for. For most the trip home makes the day complete - a highly beautiful coast in gorgeous light, what paradise! Tour is subject to minimum number of 2 for safety.